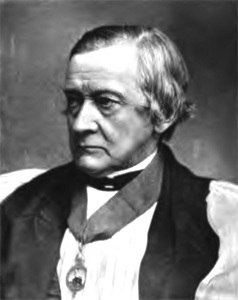 Edward Harold Browne, D.D., Lord Bishop of Winchester and Prelate of the Most Noble Order of the Garter. Religious Excitement: A Sermon, Preached in Kenwyn Church, on Sunday, November 23, 1851. London: J.H. Parker; Truro: James R. Netherton, 1852. Thoughts on an Extension of the Diaconate, and on Lay Agency: A Paper Read to the Clergy of the Ruridecanal Synod of Powder, and Printed at Their Request. Truro: James R. Netherton, 1854. The Messiah as Foretold and Expected: A Course of Sermons on the Prophecies of the Messiah as Interpreted by the Jews before the Coming of Christ Preached before the University of Cambridge in the Months of February and March, 1862. Cambridge: Deighton, Bell; London: Bell and Daldy, 1862. The Pentateuch and the Elohistic Psalms, in Reply to Bishop Colenso: Five Lectures Delivered in the University of Cambridge. London: Parker, Son, and Bowin, 1863. The Mission Work of St. Paul, Being the Ramsden Sermon, Preached before the University of Cambridge, on Sunday, May 8, 1864. Sacrifice - Altar - Priest. In Six Letters to a Friend. London: Longmans, Green and Co., 1866. A Speech Not Spoken: Being a Letter to the Right Hon. the Lord Hatherley, Lord High Chancellor of England, on the Irish Church Bill. Christ's Teaching and Influence on the World: A Lecture Delivered in Connection with the Christian Evidence Society, May 30, 1871. London: Hodder and Stoughton, 1871. Genesis: or, the First Book of Moses with a Commentary. New York: Scribner, Armstrong, 1873. Christ with Us: A Sermon Preached at Ely Cathedral at the Restoration of the Lantern. London: Longmans, Green, and Co., 1875. The Position and Parties of the English Church: A Pastoral Letter to the Clergy of the Diocese of Winchester. A Sermon Preached by the Rt. Rev. the Lord Bishop of Winchester at S. Peter's Church, Eaton Square, Pimlico, London, S.W., on the Second Sunday in Advent, A.D. 1876. Address by the Lord Bishop of Winchester in New College Chapel at the Commemoration of the Founder and the Celebration of the Re-opening of the Chapel on October 14, 1879. The Inspiration of Holy Scripture. An Exposition of the Thirty-nine Articles Historical and Doctrinal.